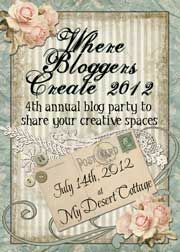 Welcome blog friends to the 4th annual Where Bloggers Create, hosted by Karen Valentine of My Desert Cottage. A yearly party event sharing the creative spaces of bloggers from all over the world. 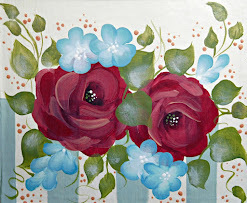 It is a fun time for all peeking into the studios of talented bloggers where there is always plenty of inspiration. Many years ago when I first started on this path, I studied decorative painting and fell in love with the creative process. I set up my creating in many a studio settings from the kitchen table, spare bedrooms, basement and today my repurposed 3rd car garage. Recently with the help of my Best Guy, we redesigned my space to reflect a new direction. From the floor to the ceiling and everything in between, I have made lots of changes. Keeping with a light cottage cream and neutral palette with french toile mixed in. In the beginning, folk art was my focus with country styling giving way to the romantic and cottage styles that I specialize in today. Hand painted roses and vintage inspired cottage decor are my specialties along with holiday, shabby and French chic decorating. Creative storage with pretty display and organization are my focus and inspire me everyday. Along the way, I have had the joy of painting ornaments for the White House Blue Room Christmas Tree in 1998 and 2004 as a member of The National Society of Decorative Artists for 24 years. I have met many wonderful friends on this path, all because I swing a paint brush. 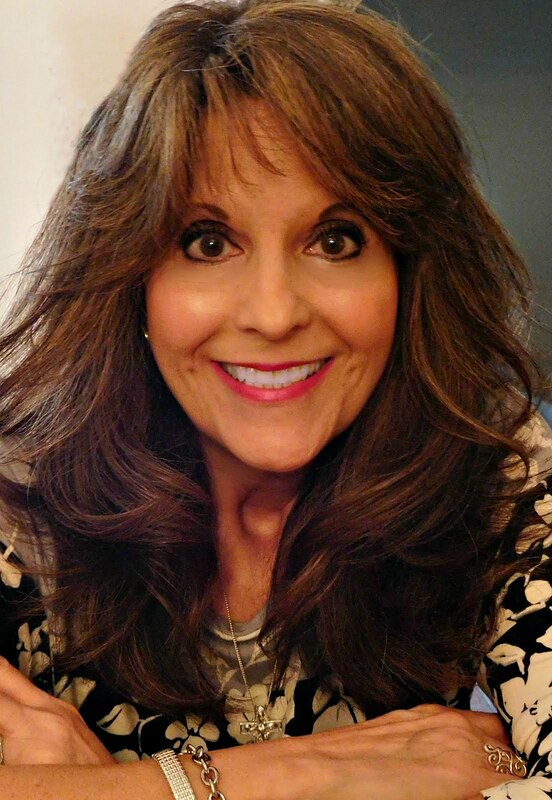 This wonderful journey has found me working in many areas involving designing, from Art Shows, Brick and Mortar Shops, Antique Malls, Display, Interior Design, Ebay, Teaching Beginning Decorative Painting right here in my home studio and the last 5 years here on Etsy. 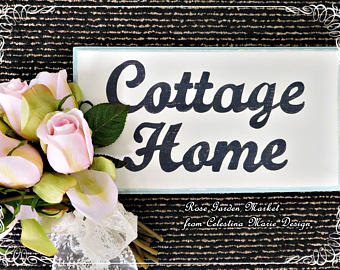 I am a member of Shabby Cottage Shops.com and Etsy Cottage Style along with Cottage Style Street Team, Farmhouse Treasures and Devotion to Promotion Teams. 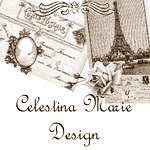 I am also a network member with Linkedin at Celestina Marie Design. Like I shared, my studio is a converted third car garage all recently redesigned in shabby white, french inspired toile and crocheted lace with vintage treasures throughout. 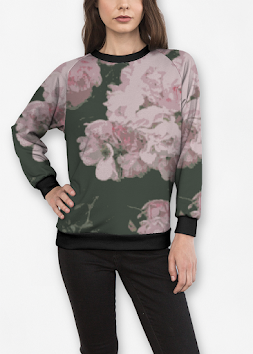 I love the new look as it has inspired me like a blank canvas to expand my creativity with the roses that are a favorite of my dear and valued customers. Their patronage has been a true blessing as they always continue to inspire me in new directions for home decor and cottage interiors. My family is also very important to me and I am so thankful for the support and help they give when seasonal times get very busy and they always understand. So let me take you around the room sharing my storage and redesigned space. Over the years I have come a long way from where I started at the kitchen table to the studio I have today. The following are a few of my favorite quotes including one my Father once told me many years ago, "Find what you love to do and you will never work another day of your life" I will continue to do just that! Thank you for stopping by to visit my studio and thank you Karen for hosting this special event once again. p.s. I dedicate this years post for Where Bloggers Create to my sweet Miss Beazy Lee who was hit by a car and killed May 22,2012. She was a huge presence in my studio and is dearly missed.